Τhe Gennadius Library and the Economia Group-Kerkyra Publications are organizing an exhibition to celebrate the donation of the Vovolini Archives to the Gennadius Library. The event will start with a presentation and discussion entitled “Επιχείρηση και Διανόηση στην Ελλάδα του 20ού αιώνα”, on March 11th, in Cotsen Hall (9 Anapiron Polemou Str.) at 7:00 pm. 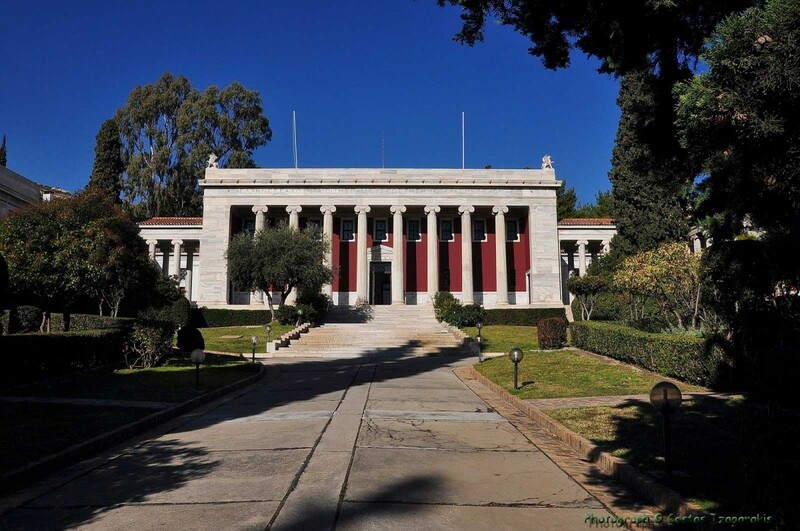 Professors Stathis Kalyvas (Yale University) and Kostas Kostis (National and Kapodistrian University of Athens) will present their thoughts on various aspects of Greek intellectual,economic, and social life in the 20th century. The ensuing discussion will be moderated by Antonis Papagiannidis (General Manager of the Economia Group). The presentations and discussion will be in Greek. The opening of the exhibition “Ο Κωνσταντίνος Α. Βοβολίνης και το Μέγα Ελληνικόν Βιογραφικόν Λεξικόν” will follow in the Basil Room of the Gennadius Library. The exhibition wil be open to the public until June the 29th. Based on the scholarly work of Konstantinos Vovolinis (1913-1970), the exhibition showcases a selection of valuable archival material gathered by Vovolinis to compile the Great Hellenic Biographical Dictionary. The focus will be on significant figures in economy, politics, and science; e.g. Venizelos, Carathéodory, Loverdos, Eftaxias, Kallifronas, Trikoupis, Diomedes, Kanellopoulos, Maximus. This presentation aims to highlight not only the wealth of evidence offered in the archive and the biographical dictionary, but also in a more general terms the role of an archive, its necessity and contribution to preserving collective memory. The publication “Κωνσταντίνος Α. Βοβολίνης: τεκμήρια ζωής και δημιουργίας” by Georgia Panselina will accompany the event. This event will be Livestreamed. Please click here. It can also be viewed in the ASCSA lecture archive approximately one week after the event. Please click here for the video lecture archive.